Liberian President Ellen Johnson Sirleaf has sent a congratulatory message to the President of the Republic of Benin, Mr. Patrice Talon, on that country’s 57th Independence Anniversary on August 1. August 1st is celebrated annually as Benin’s Independence Day, the day it gained independence from France in 1960. Benin, formerly Dahomey, gained the status of overseas territory of France in 1946, after the end of World War II. 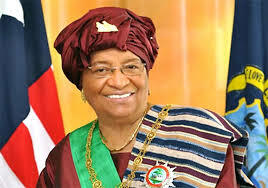 According to a Foreign Ministry statement, in the message to her counterpart, President Talon, President Sirleaf extended warmest congratulations on behalf of the Government and People of Liberia and in her own name on the occasion of Benin’s 57th Independence Anniversary. She stressed that looking forward to the coming years, the Government and People of Liberia anticipate a further strengthening of the already excellent bilateral ties subsisting between the two sisterly countries. President Sirleaf prayed that as both countries work together to promote global peace, security and economic development, the Almighty God will endow Mr. Talon with abundant wisdom and strength to lead his compatriots to greater prosperity.